Aims: The European train-the-trainer course will provide participants with the knowledge, skills and tools to teach high quality spirometry. More specifically, this course is a pre-requisite for those who would like to train and certify participants for the European Spirometry Programme leading to the Spirometry Driving Licence level I and level II. Aims: Physicians need to be able to distinguish between the rare cases of pulmonary hypertension as a primary disease and the more common cases as secondary disease associated with other conditions such as cardiovascular disease in order to correctly diagnose and treat patients. This course aims to help participants understand the process of diagnosis and management of the various pulmonary vascular conditions. Diagnostic techniques and new treatment modalities will additionally be discussed. Course description: This ERS Summer School will provide a comprehensive overview of major fields within respiratory medicine, presented by experts known for their excellent presentation skills in order to facilitate preparation for the HERMES (Harmonised Education in Respiratory Medicine for European Specialists) Diploma. 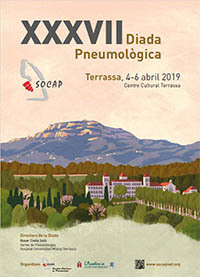 Aims: This course will provide participants with an overview of the main epidemiological features of respiratory diseases, including tuberculosis, asthma, COPD and environmental lung diseases. 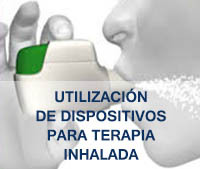 In addition to this the pros and cons of the different studies dealing with respiratory diseases will be explored. This ERS online school course is designed to provide participants about the real advantages that can be obtained via patient involvement and acquire the tools for effective patient participation. The session will explain why patients should be involved, how to involve them in different levels and areas of healthcare and science, and how to make it an efficient and beneficial experience for all involved. Organiser: N. Hart, R. Scala, B. Schonhofer. Aims: This course provides participants with an overview of the basic technical skills and clinical information to enable safe use of NIV. NIV has been increasingly used in recent years, both in the acute and long-term setting. Accordingly, the number of healthcare professionals exposed to this technique has also increased.